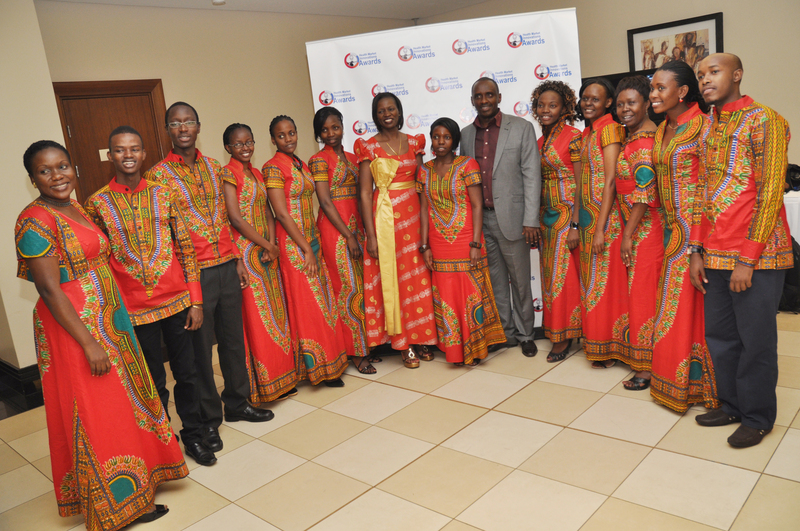 About 200 guests from Uganda, Kenya, Rwanda and Tanzania converged at the Sheraton Hotel in Kampala, Uganda to celebrate the inaugural Health Market Innovations Awards (HIA) in the East African Region on 2nd May 2012 at a Gala Dinner, which saw the Mothers 2 Mothers program emerge as the most outstanding health market innovation. The awards event funded by the Rockefeller Foundation and organized by the Institute of Health Policy Management and Research (IHPMR), aims to recognize outstanding health innovation programs in the East African region, that have increased access to health services, improved quality of service delivery and have provided financial protection to the poor and vulnerable. The awards are also intended to create awareness of existing health market innovations programs in the region, provide a platform for benchmarking among stakeholders, and encourage the spirit of excellence among program implementers and to spur more health innovations programs. 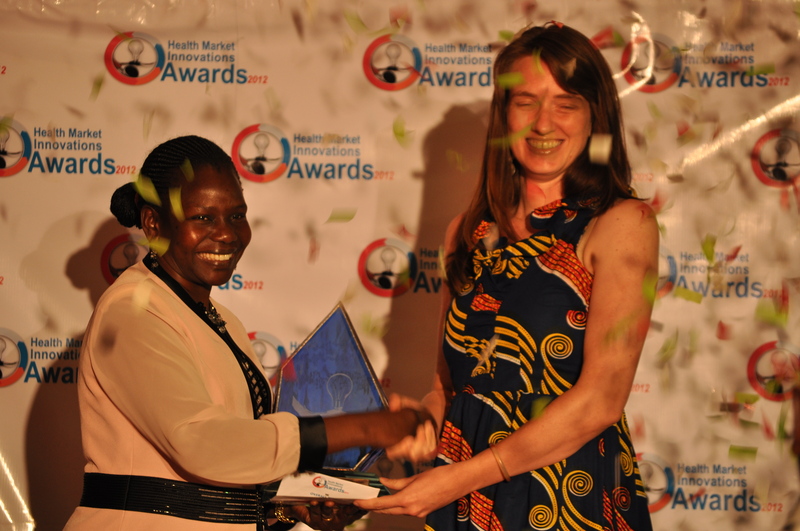 The awards included five main categories and eight sub categories, four most promising health innovations programs and the overall winning program, judged to have been the most innovative and have made the most impact by reaching out to the largest number of vulnerable populations across the East African Region with ability to be adopted and scaled up. The Mothers 2 Mothers program which operates in the East African countries of Kenya, Rwanda, Tanzania and Uganda as well as Lesotho, Malawi, South Africa, Swaziland, and, Zambia emerged the overall winning program and thus carried the revolving trophy home. The program focuses on providing training to HIV + mothers and then employing to mentor their communities. It also works with men in supporting maternal health issues hence has influenced couples in various communities to actively engage in the uptake of HIV/AIDS, maternal and reproductive health services together, a duty that has been perceived as a “women activity” and thus most men have always neglected their involvement in most communities in the region. When handing the overall award to Ms. Nicole Fulton the Mothers 2 Mothers representative, the guest of honour, Dr. Christine Ondoa, Uganda’s Minister for Health applauded the efforts by the private sector to come up with innovations in the health markets that are complimenting the government’s efforts and adding up to the remaining percentage in the health sector. She emphasized to stakeholders present of the need to embrace public private partnerships (PPPs), terming PPPs as the way forward in the health sector. “Together, we can do more.” She also recognized the importance of such awards in the region by mentioning that they serve as the greatest source of motivation and inspiration to program implementers and thus spurring more innovations. The Rockefeller Associate Director in the East African Region, Mwihaki Kimura gave a special address during the event, with a focus on transforming the health systems through the role of mixed health systems. The APOPO program from Tanzania, which uses rats to detect Tuberculosis, was given a special mention at the event for its unique approach in innovations. The awards will be held annually in the subsequent years with the 2013 event geared to be held in Dar-es-Salaam Tanzania during the 2nd Annual East African Healthcare Federation Conference. Below is the entire IHPMR/CHMI team behind the successful event.